In this tutorial we introduce the fourth content sharing technique mentioned in our previous content sharing tutorial: adding social share icons. By making social share icons available, users cam easily share the posts they like with one click, without all the hassle of copy and paste. Here we will focus on the following four social channels: Facebook, Twitter, Google Plus and LinkedIn. 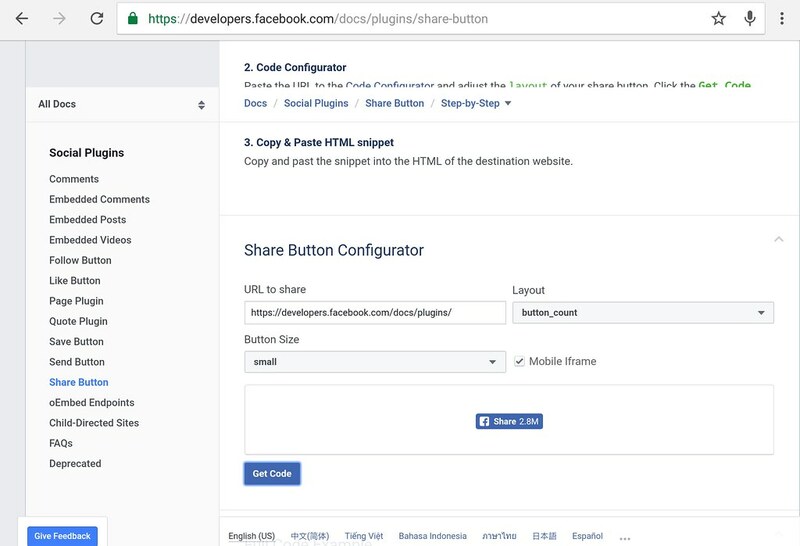 Facebook’s share button configurator and code generator. You can find similar configurators/code generators for Google Plus and LinkedIn. 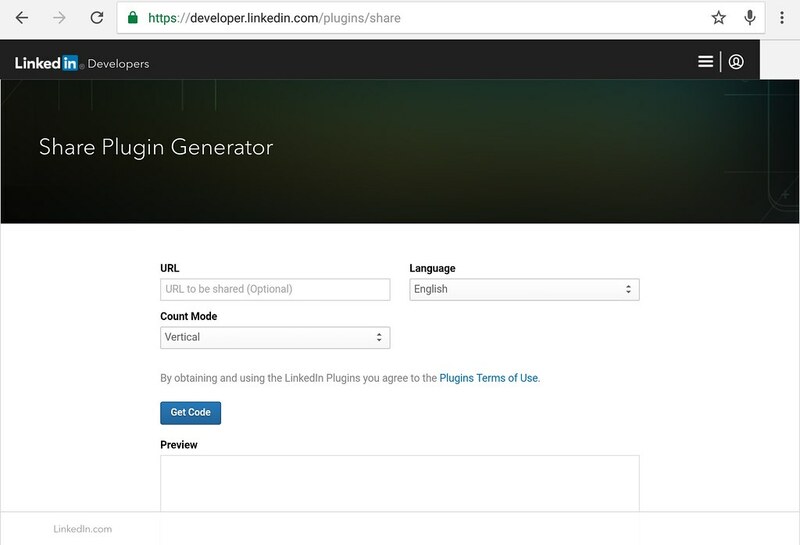 LinkedIn Share Plugin generator page. 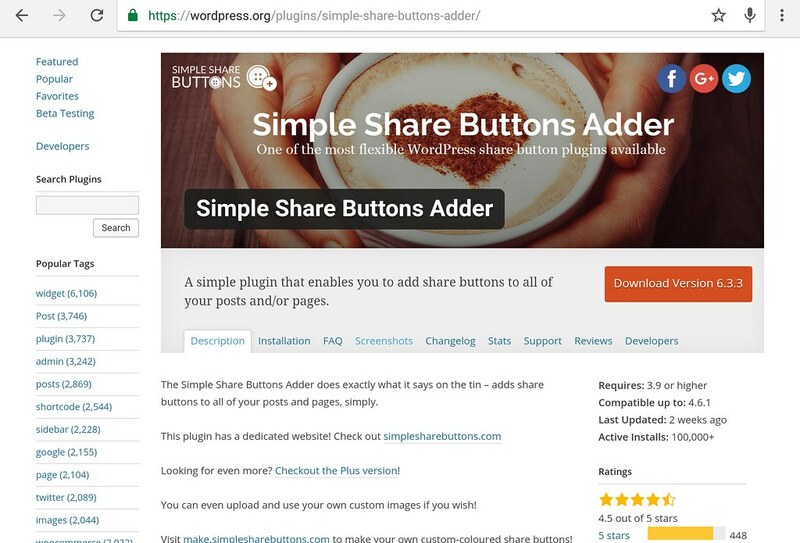 Although these social plugins are easily incorporated into your site, they are difficult to customize the share button look (likely preferred by the social companies to preserve brand images). There are some nice wordpress plugins that add social icons to your site, and with greater icon customization. One example is the Simple Share Button Adder. But using plugins with automatic insertion can cause problems for custom themes. For example in ModernBlackHand the icons appeared in one single post template but not the other one. Here we introduce a simple way to include share icons in post. Using only Font Awesome icons without CSS shape drawing. The wordpress template tag get_permalink() gets this post’s url, and code $post->post_title gets the post’s raw title. Both codes have to be used in The Loop. Function urlencode(...) alters the input string to make it url friendly. By url friendly we mean to make the string ok to be included in the url. Common examples are changing single white spaces to “%20“s. Here we construct the urls to share this post on different social channels. The urls are specified by different social channels’ rules to access their services (so-called APIs). As social channels constantly change their services, APIs are constantly updated. Thus you should regularly check if the chare icons still work, and modify the urls in accordance to the newest API specification. We use a <div> to group these icons. It links to social channel sharing page. It opens as a new tab. This is done by enclosing <i> tags with an <a> tag (line 15-18). This is done by setting href attribute to the urls we created (line 15). This is done by the attribute/value pair target="_blank" (line 15). Add fa-stack class at icons’ parent tag <a> (line 15). Use fa-stack-#x class, # as a number, at icons to determine which icons are on top. The smaller the number the more front the icon is (line 16,17). The class fa-circle shows a circle, and fa-socialName, where sosialName is the social channel’s name, displays the social channel symbols. Background corresponds to the social channel’s iconic color. We can now include our partcial template content-social.php into wordpress’ post template. As mentioned before we use template tags to get post’s information, so for ModernBlackHand we include content-social.php in template-parts/content-single.php using function get_template_part(...). See this tutorial for more details on partial template inclusion.